Dr. Jassica Sarai began her post-secondary education at the University of British Columbia, studying Animal Physiology. Thereafter she attended the dental school at UBC, and obtained her Doctor of Dental Medicine degree. She is a member of both the BC and Canadian Dental Associations, and regularly attends continuing education courses to stay up-to-date with the new advances in dentistry. Dr. Sarai strives to provide quality care to all her patients, and ensures that her patients are making fully informed decisions about their dental treatment. Dr. Sarai was born and raised in Surrey. She attended both Lena Shaw and Brookside Elementary School, and then completed high school at Enver Creek Secondary. She has been actively involved in the Surrey community, volunteering at places including the Surrey Memorial Hospital and Surrey Outreach Program. Also, Dr. Sarai has participated in the Guildford Athletic Club for over a decade. 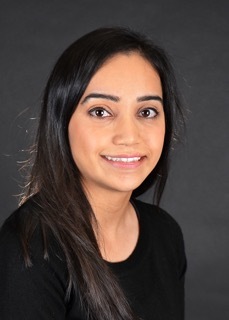 Dr. Sarai is very excited to be part of the team at the Surrey Dental Group, and is looking forward to providing dental care to her own community! Dr. Sarai is the most sweetest Dentist I have ever met. She’s caring and very attentive to my pain level. I highly recommend her to anyone who is looking for a dentist that cares about their comfort.